In March I received peer and editor feedback on my manuscript. I had a few typos and spelling errors I could have kicked myself over, but the biggest blunder on my part came in the second half of the manuscript. I went in a completely different direction and started recapping seasons and going high level to just touch on subjects that needed a deeper dive. I recrafted a good portion of the latter part of the book and am MUCH HAPPIER with the result. This is the book I originally intended to write. Do you want to know all the twists and turns between the Braves leaving Milwaukee and the Pilots moving from Seattle? How about the search for franchise identity, fans, and decent players in the early years? Then this is the book for you. I had edits completed by November and started connecting with sources for photos. I won’t reveal what will be in the book, but will say four great sources supplied some unique photos – some you probably have never seen before. The manuscript is now back with my editor at McFarland & Company, along with a short list of potential titles I supplied. Now the folks at McFarland can move to the next stages in the process, as the largest part of my work is done. I will let everyone know when we land on a book title and release date. Dealing with grief is never easy, and it’s often said there is no right or wrong way to do it. 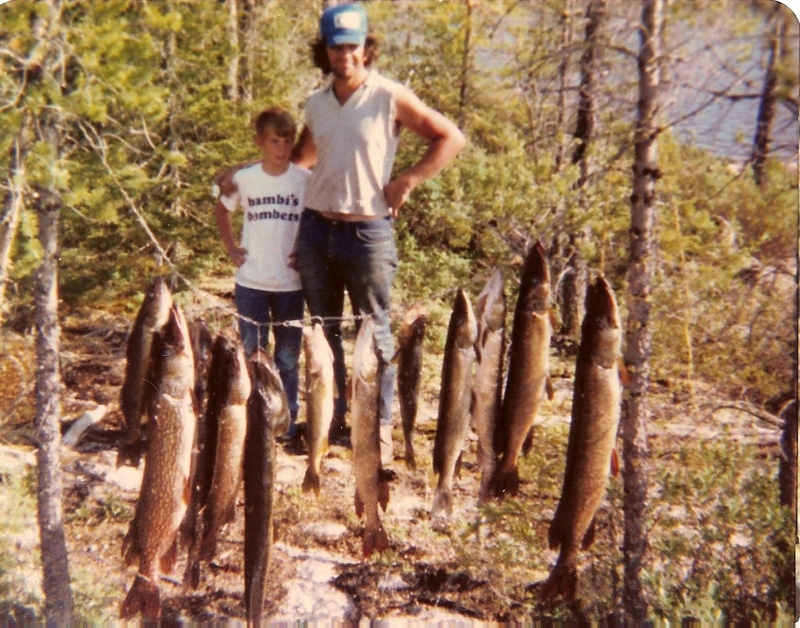 After my dad passed away in 2015, I chose to start writing stories in a notebook about our adventures together – many revolving around baseball and fishing. Eventually the stories took book form and became the tale of a father and son going through life together – shooting the bull while fishing, grilling out, attending baseball games, drinking a beer, and fighting to complete remodeling projects. It’s chronological, going through my youth (first time at a Brewers game, first time fishing) through Dad’s health struggles (prostate and bone cancer, strokes), admittance to a nursing home, passing, and our family’s grief. I’m sure many of you can relate to a good portion of this book, and that motivated me to keep writing. In October I got gutsy and entered a free editing contest held by Dr. Bob Rich and am one of ten finalists. Entrants sent a 1000-word sample of the beginning of their manuscript, a synopsis, and bio. Dr. Bob has over two dozen books to his credit and is a fantastic editor, so I would love to win the contest as it would put The Long Lake Journal on a good path toward being published. This is where I would appreciate your help. The contest ends on 12/23 and is down to a public vote. You can find samples from the finalists (including mine) and a link to the voting form here. If the form doesn’t work, Bob has instructions on how to email him your vote. Thanks for supporting my work and taking the time to vote! Sporting one of my favorite Brewers shirts in front of our Canada catch.